Remove the steaks from the refrigerator. Rinse the asparagus, cut off the tough ends. Bring water with salt to a boil in a large pot, add the asparagus and cook for 3-5 minutes. Asparagus should be cooked but still crunchy. Drain and pour cold water. Sprinkle the steaks with salt and pepper. Heat the butter in a pan. When the butter starts to brown, add the steaks. Fry over high heat, when the butter starts to brown, you can add a tablespoon of cold butter. Bake for 3 minutes on both sides. Fry for a minute shorter or longer depending on whether you want your steak to be more rare or well baked. Transfer to a warm plate, cover with aluminum foil for 3 minutes. Add the asparagus to the same pan and fry for 1-2 minutes. Combine all the ingredients for the parmesan vinaigrette. 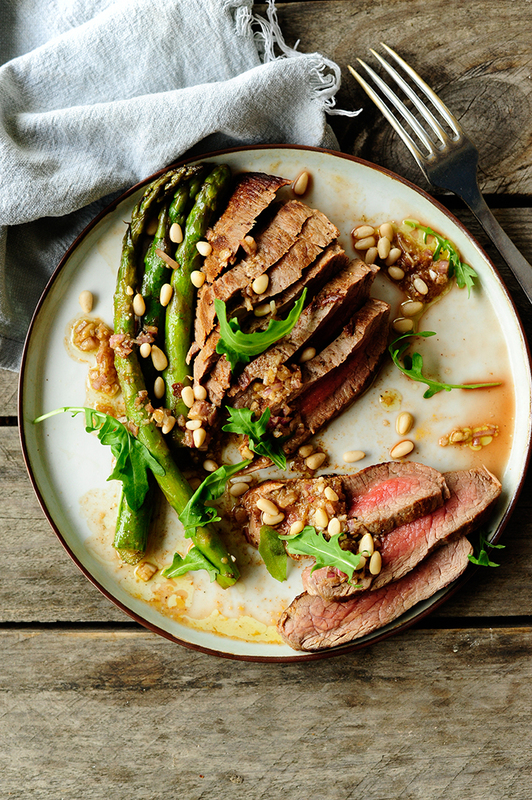 Slice the steaks thinly, crosswise, arrange on plates together with asparagus and garnish with arugula and pine nuts. 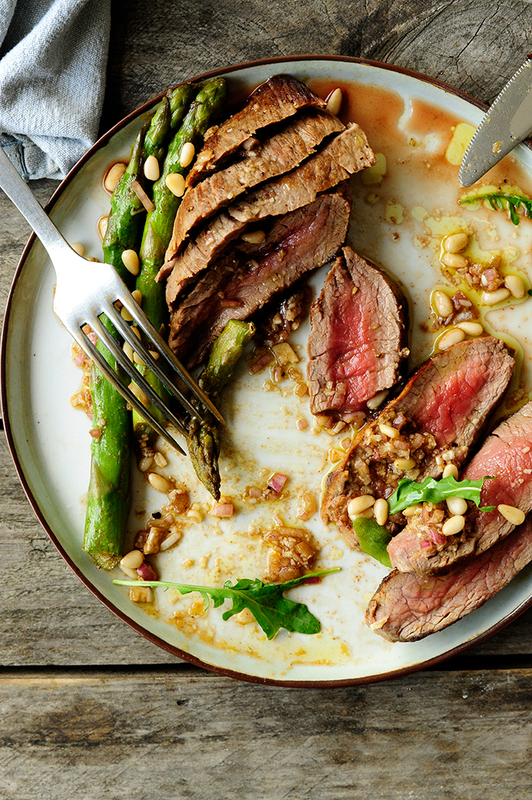 Serve with the Parmesan vinaigrette. Enjoy!